Gaining customer loyalty is a critical part of any business and this is especially true within e-commerce where users have a myriad of choices. Having a reliable, trustworthy site is the foundation of building loyalty and there are many ways in which this trust can be built. One of the most obvious and common trust mechanisms is recognition based trust. This occurs when a user already has a positive brand image or awareness or a business or associated partner. As an example, if a user goes to a site such as Nike.com they will almost certainly feel that they are safe to purchase via this URL given their reputation as a respected and well-known brand. Alternatively, a business might garner trust by associating themselves with such brands or partners, we often see this in instances such as ‘Google Certified’, ‘Trusted by IBM’ or by using logos and images of positive businesses in client carousels or in case studies. Whilst this is an incredibly valuable trust signal, it’s not something that everyone can achieve, certainly not as a new business starting out, but thankfully for such businesses, there are plenty of other options to generate substantial trust in your business and your website. When we refer to social trust, we are talking about the implication that other’s experiences validate and influence our decisions, whether that be the purchase of a £2000 TV or a new type of shampoo, there is a lot of weight attributed to feedback from our peers. Social trust primarily manifests as a review of sort, whether that be a product review, recommendation or a testimonial. The difference between a 3-star product and a 5 star one can be critical for the success of a product or even a business. With that in mind, a fundamental strategy for any business should be to generate genuine reviews as frequently as possible. Email marketing is a great tool for this (especially automated marketing tools such as dotdigital) as are incentives for customers to leave a review. All considered peer validation is a great tool to help verify the authenticity of the business, as well as assisting users in purchase decisions and helping increase conversion potential. The ability to contact a business easily and efficiently may seem like an obvious aspect of trust to fulfil, but it is one that businesses often fall down on. There are some simple opportunities to make sure your site doesn’t fall foul of such issues. Click to call: the vast majority of shopping today is conducted on mobile and desktop devices. When consumers have a question or complaint, they want to be able to quickly and simply speak to someone about their query. Simplifying this process with a ‘click to call’ button clearly visible on your website can help establish trust and prove a positive user experience. 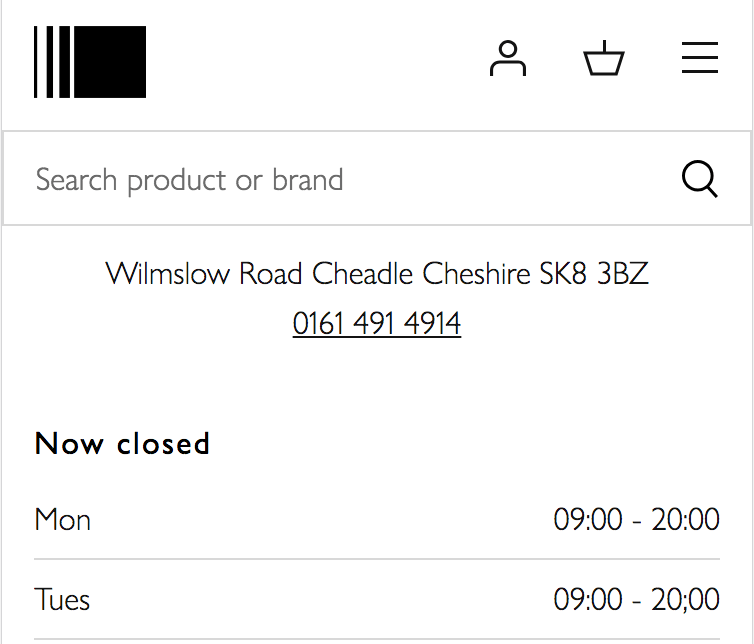 John Lewis have a clear action to call when looking for store specific details, as evidenced above. This is also common practice on the majority of pure e-commerce offerings. Although many businesses don’t have the capacity to deal with a large volume of calls, it is still a clear signal of trust. Live Chat: has become a requirement and expectation for on-the-go consumers who don’t have the time or desire to pick up the phone and dial. Due to this, brands are implementing ‘live chat‘ or ‘we will get back to you’ chat options, where a message is logged and the user will receive a message either via the site when someone is available to answer. Having a live chat option shows the consumer that you have the resource to answer queries should they need you, which adds legitimacy to your business. The example below from Zavvi is an outstanding example of what live chat should be and how it can boost not only trust but customer engagement and loyalty. This example clearly outlines that someone is available to help, sets expectations on the time to connect to the business, and provides a clear CTA. Clear contact options: no doubt many of us have been through the pain of struggling to find contact details on a site, which has lead us to feel frustrated and leave the site in search a competitor that is easier to contact. This is particularly important for businesses that have a service-based offering, or those that are online only. What is best practice can be debated but the key thing is to have a logical URL and menu placement for your contact details (especially on mobile) in the page header or footer. Example: Virgin Active page header call to action. 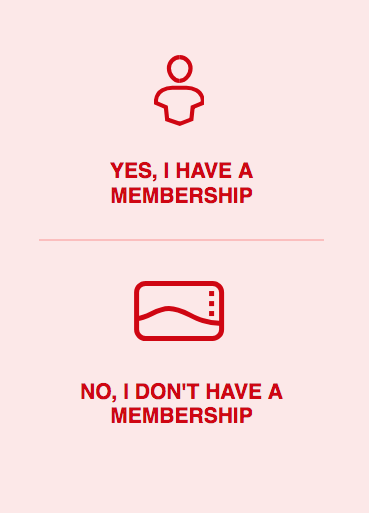 Virgin Active are a perfect example of this with a clear call to action as soon as you land on the site, which then takes you through to multiple contact options dependant on your membership status. Moving onto one of the more technical elements of trust we have SSL certificates. These certificates show a user that your website has a high level of encryption and can be trusted. 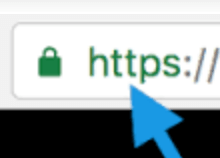 You may recognise sites that have this by the URL having a HTTPS prefix rather than HTTP, and the lovely green padlock displayed below. SSLs are industry standard now and an absolute requirement for any business worth its salt. In July 2018, Google started displaying ‘NOT SECURE’ messaging on any sites without an SSL or with an expired certificate. Thankfully SSLs are fairly easy to purchase and implement. Should you ever find yourself in this unfortunate predicament, a quick call to your development agency should resolve the matter promptly. No SSL = Zero trust in the majority of cases so the importance of this can’t be overstated. Fairly self-explanatory, but why would you trust a business with your cold hard cash when you can’t trust them to spell correctly, have clear images or a modern design. Trust is primarily about perception, and ensuring that a user has a good impression of your business is helped by providing a pleasant experience visually and through your written content. This is especially pertinent for those who provide expensive services or products. As with content, this trust element is about understanding that what the user wants, is exactly what the user gets when it comes to purchasing information. When talking about products specifically, price, size and delivery are all essential considerations. If any of these elements are missing, hard to find or unclear, how can the customer make the decision to trust in the product and therefore make the purchase? This might take the form of hidden fees on a concert ticket that only appears once the user nears the end of the purchase journey, or from a site that offers a shirt in size L but doesn’t specify via a size guide what those measurements actually are, so the customer ends up with something that is actually way too large or small! In very extreme circumstances it can result in customers being misled about their purchase, a recent example of this can be found here. When it comes to establishing trust, clarity is king. Trust seals are in many ways an extension of recognition based trust and are a common expectation amongst online shoppers. They primarily show that reputable payment methods can be used on the site, thereby generating a level of legitimacy to the sites offering. In recent years, integrations with Paypal and Apple/Android Pay have become more prevalent and many shoppers will only checkout and if these options are clearly available. Nobody wants to go through the whole purchase journey to have a negative experience at the very end due to a lack of trust in the payment methods. The Hut Group provide a good example of this by showing a wide range of options so that the customer can utilise in the footer, providing trust in the site and its products. These trust signals are by no means exhaustive but should form a solid basis for trust within a website, as well as a positive user experience which should = £££ for the website. Whilst many of these recommendations may look to be outside of Pinpoint’s core offering of Magento Development and User-Focused Design, we also undertake site analysis on behalf of our clients as part of our UX and eCommerce Strategy offering.